STF will be releasing a series of articles analyzing the U.S. housing market called “The State of US Housing”. The importance of the real estate sector on the U.S. economy cannot be overstated. More than half of the private wealth in the U.S. is composed of real estate assets, with $25 trillion in residential and $15 trillion in commercial. Even modest changes in the market can have massive ramifications in the U.S and globally as the world experienced following the bubble burst in 2009. So each month we will dive into various factors that are driving the current housing market. Last month’s issue of The State of U.S. Housing focused on the effects of low supply and high demand. A robust economy has provided many Americans the opportunity to purchase a home, however with low construction rates and a high demand many are experiencing difficulties in purchasing a home. This month will focus on the constraints that are limiting supply growth in the housing market, more specifically into construction costs and the impact of housing policies. Housing starts rose 1.9% in March to a seasonally adjusted annual rate of 1.319 million units according to the Commerce Department. 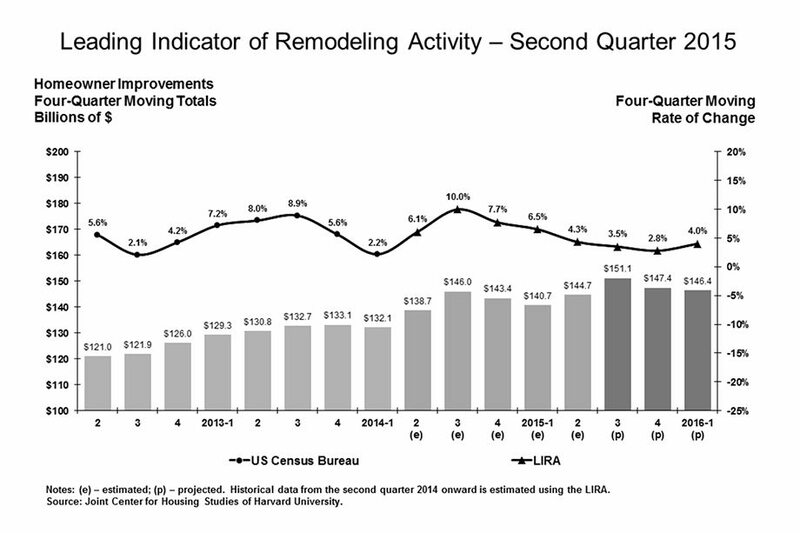 Despite the rebound in homebuilding last month, activity appears to be slowing. Single-family homebuilding, which accounts for the largest share of the housing market, fell 3.7% to a rate of 867,000 units in March. New residential construction has remained at historically low levels following the 2008-2009 bubble burst. On a population-adjusted basis, housing starts averaged the equivalent of 2.5 million units per year from 1960 through 2005. From 2006 through February 2018, starts have averaged the current equivalent of just 1.1 million units per year, where 1.3 million units per year is required to maintain a balance in the population growth. One of the biggest constraints facing new construction is the large increase in construction costs over the past 10 years. Annual inflation rates in the U.S. has averaged 2.2% over the past 25 years, according to the Bureau of Labor Statistics, close to the Federal Reserve’s goal of 2%. However, construction cost inflation has nearly doubled the pace of the annual, reaching an average of 4% per year, with costs of goods already reaching 4% increase during the first 4 months of 2018. The graph below indicates the change in costs for goods in residential construction based on the Producer Price Index (PPI) released by the Bureau of Labor Statistics. Not only are builders facing higher costs but recent policies enacted by the current administration has started to drive building costs even higher. Tariffs placed on Canadian lumber and other imported products are pushing up prices and hurting housing affordability. The need for entry level homes is at an all-time high with the large influx in demand for homes coming from the millennial generation. However, increases in costs have dwindled a builder’s desire for completing entry level homes. Instead most builders are focusing on mid-range and higher homes due to larger margins. The next major limitation on new housing construction comes from public policy on housing such as land-use zoning and affordable housing policies. State and local governments limit land development based on zoning policies, this in turn makes it more difficult for developers to find suitable lots to build on. Additionally, “Not in my backyard” groups (NIMBY) have started to have major influence on new land development through community outreach and action. Neighborhoods in Seattle don’t want apartments for homeless seniors; in Los Angeles, they don’t want more high rises; in San Jose, CA they don’t want tiny homes and the list goes on and on. All these are types of housing that could help alleviate some immediate housing issues, yet NIMBY groups oppose them at all costs. Worried that these new housing forms will not only hurt their home value but burden public services such as schools, roads and transportation, NIMBY groups continue to have an enormous impact on the development of housing.